From time to time, we dig into the AMM Archive to see what museum professionals were talking about decades ago. This week’s article is a look back at Chicago conferences by Ashlee James, soon-to-be-graduate of the IUPUI Museum Studies program and volunteer at AMM. This is the second post in a two-post series. To read the first part of this post, click here. Welcome back! After getting a glimpse of the Chicago conferences in 1946, 1955, and 1981, we’ll continue on to look at the more recent conferences in 1994 and 2011—and the upcoming conference in July! 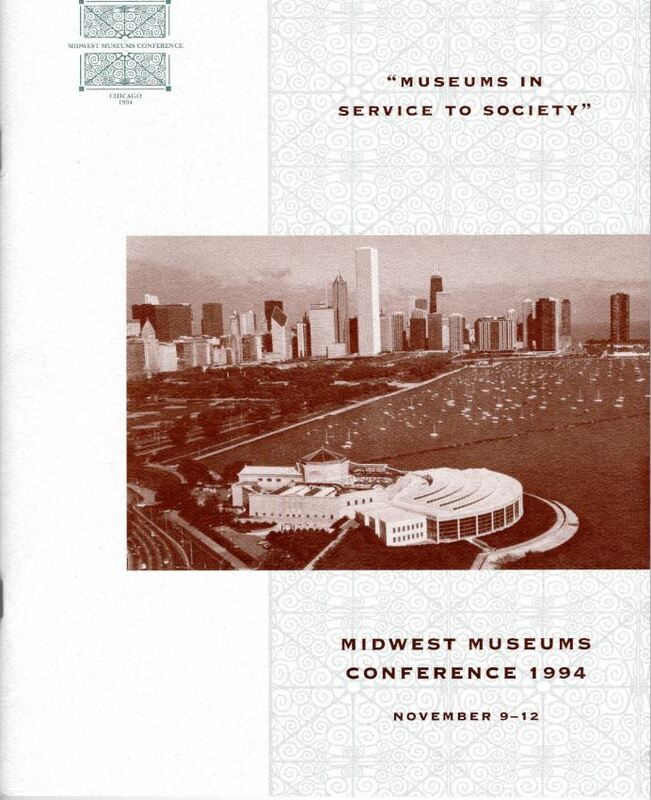 The 1994 conference theme was “Museums in Service to Society.” It focused on studying successful collaborations between museums and the diverse communities they serve, and offering advice on how to use exhibitions and programs to engage the public. Do you think museums as a whole have gotten better at serving their respective communities in the last two decades? Do you think your institution successfully serves its community? What areas—exhibitions, marketing and development, collaboration—could still be improved on? 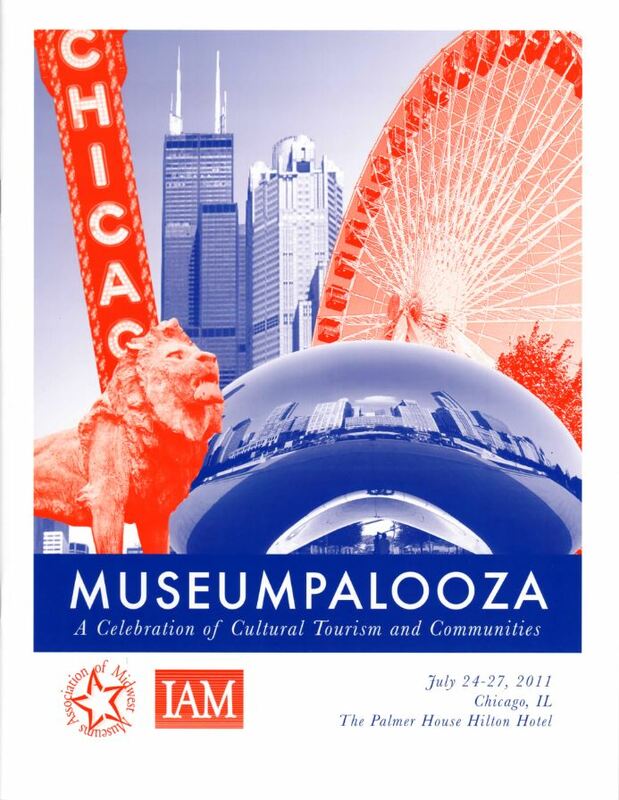 Now, fast forward to the most recent Chicago conference, in 2011: “Museumpalooza: A Celebration of Cultural Tourism and Communities”. Raise your hand if you attended this one! (Wait, did you attend the 1994 conference? If so, kudos for your dedication to AMM!) What do you remember about “Museumpalooza”? Does the program cover bring back any memories? Did you get a chance to visit The Bean? The 2011 conference took a chance to examine how museums have changed to accommodate the unique challenges of the 21st century, such as integrating new technology—such as “Exploring Museum Exhibitions by Cell Phone” and “Shine a Light on Your Collection by Way of Your Digital Special Collections”—and reaching new audiences despite shrinking budgets—in “Crossing Over: Expanding and Strengthening Audiences through Strategic Collaborations and Partnerships” and “Maximizing Community Outreach with Partnerships”. These issues certainly haven’t gone away!